As I said yesterday all this came about when my brother asked for some Butterscotch Icecream and Cake. 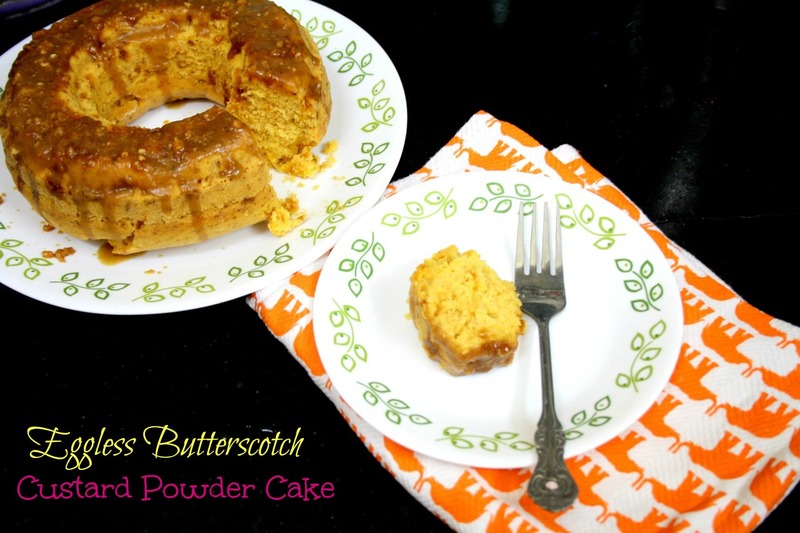 He said he had enough of Chocolate Cakes as his kids are only for chocolate and wanted to have Butterscotch. We do get butterscotch pastries, however, I said I was going to make it myself. 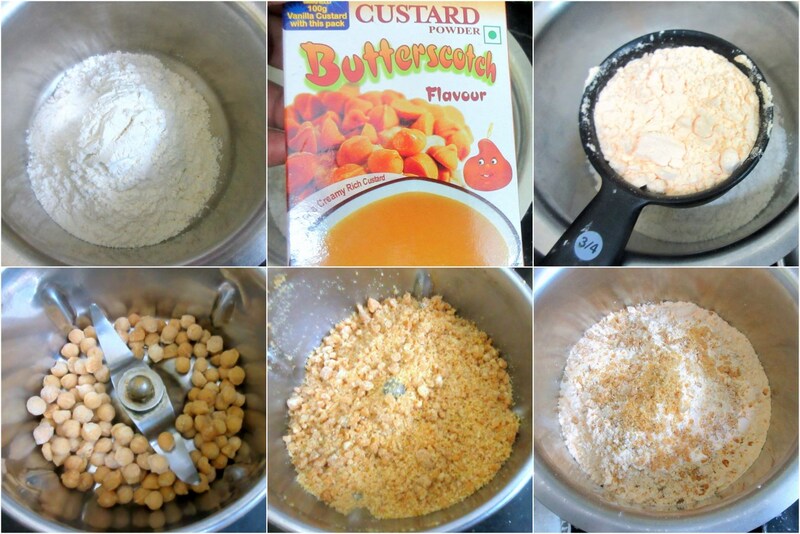 I had a packet of Butterscotch custard powder and I was planning to make use of it. So I decided to make the Cake first and I naturally had to make it eggless. If you have been regular here you know I had baked many years ago all of the cakes with Eggs, none that I ever tasted, yet wished I had a camera to click pictures of those. Anyway, I took out my recipe collection and went through it. I remember seeing some vanilla custard cakes. So I adapted it for Butterscotch and used that Butterscotch sauce and those butterscotch balls as well. Once it was baked, the drizzle on the top was the ultimate. The cake was so moist and delicious. Though it didn’t have the typical cake crumble, it was still super fine and made me reach for another piece. In a wide bowl take the flour, add the custard powder, Butterscotch Sauce, 2 tbsp of pounded butterscotch balls, followed by melted butter, baking powder, baking soda. Mix everything well. Now add the sugar, and slowly add the milk to get a flowing consistency. 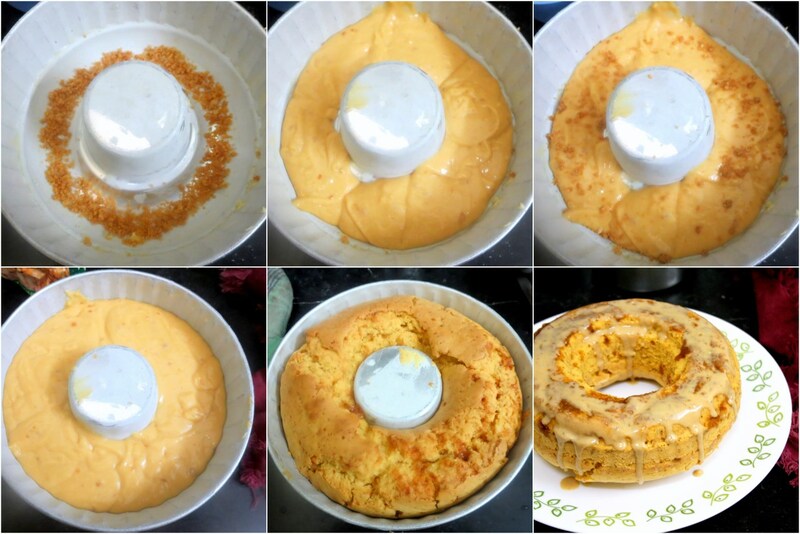 Grease and dust a bundt pan, first place a circle of pounded butterscotch balls, over it pour half the batter. Again sprinkle the butterscotch balls, then completely cover with the remaining batter. Pat it down. Preheat the oven to 185 C and bake for 35 mins. Check if done, and let it rest for 15 mins. Turn over, pour the butterscotch sauce over it and sprinkle the remaining butterscotch balls over it and serve. 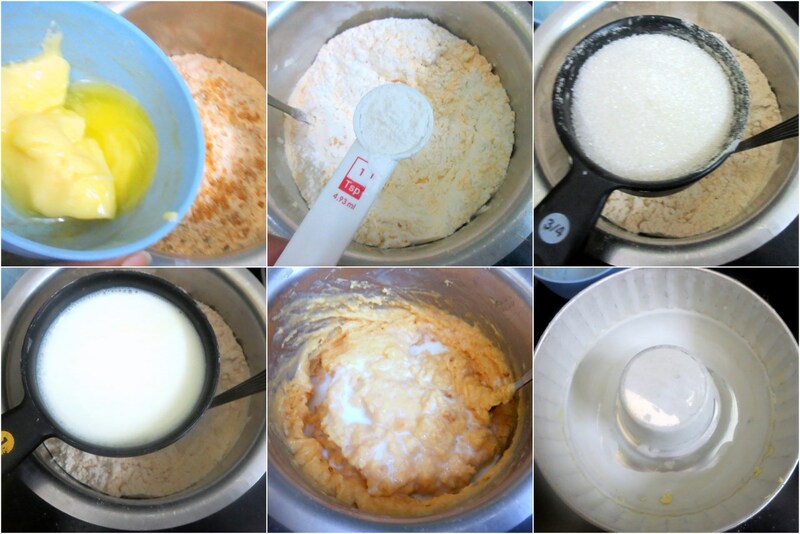 The original recipe was with one egg, I replaced it with 1/4 extra custard powder and increased baking powder. The resultant cake is not your typical soft crumble cake. The texture is slightly rubbery because of the extra custard powder. However on the whole when you add sauce and moisten it the cake tastes very soft and melts. Check out the Blogging Marathon page for the other Blogging Marathoners doing this BM This goes for the June Week 4, Cooking from Cookbook Challenge Group. 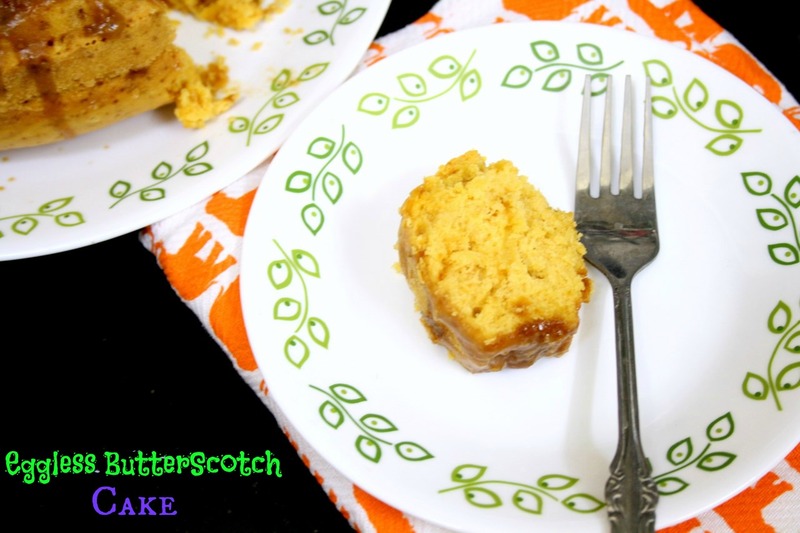 Perfectly baked cake end butterscotch frosting sounds great. Very interesting combination of ingredients. The end result looks fabulous. Sounds yum. I like it. Want to try it. I'm drooling here just thinking of how delicious this cake must have tasted. Looks awesome. The cake looks perfectly baked and the flavor..awesome..I did not know about butterscotch custard. This cake is a real torture, wow, wish i get a super huge slice of this cake.